Tybee Island is a small barrier island near Savannah Georgia. This island has a tiny town with the same name and is about 3 miles long. The island is known for some of the best beaches in Georgia as well as a town with about 3000 yearly residents and the population swells to 30,000 in the summer months. The town of Tybee may be small but it is self-sufficient and the homes of Tybee Island are just as unique and eclectic as it’s fluctuating number of residents. Tybee Island is steeped in much history and there are many homes here that reflect it. Homes on Tybee Island range from historic ones, mostly located around the famous Tybee lighthouse and Fort Screven in the north, all the way to modern coastal mansions as you move down the shore. Probably what makes up most of the eclectic homes on Tybee Island is the much noted and popular bungalows and cottages in various sizes and styles usually dotting the island in colors of pastel hues. There is even a tiny home tucked amongst the trees mid-island known as the treehouse. To some the town of Tybee is split into two main areas. The side on the ocean which is notably most popular for vacation rentals and large breathtaking coastal homes and the intracoastal waterway side which is more known as a place where the year-round residents settle in. The inter-coastal side of the island is usually calmer weather wise and allows for some seclusion from the main thoroughfare of the highway. The home prices of Tybee Island are equally as varied as the home styles you will find in Tybee. On the low-end of the price range you can find a small 300 square-foot home for around $89,000 to $100,000. In the mid range are the famous bungalows and cottages of Tybee priced in the $350,000 range. On the top end of the real estate scale of course are the grand coastal mansions, some with a historic past and some more contemporary and modern in style. These larger homes start at around $800,000 and go well into the $2 Million dollar bracket. Though Tybee Island may be small and the town of Tybee quaint it is never lacking in beauty or sparkly sandy beaches. 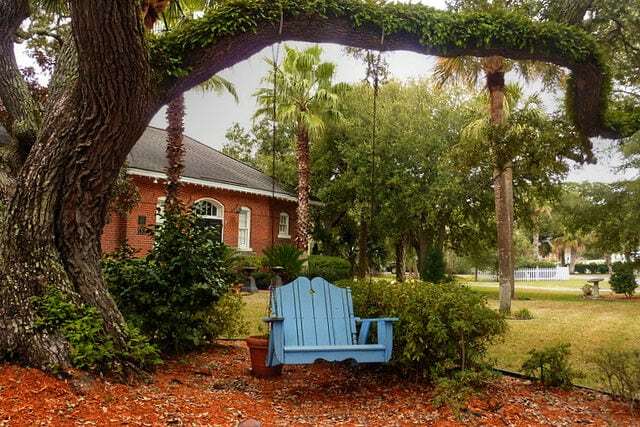 This is a great place to live for those who want to be away from the hustle and bustle and love a laid-back beachy lifestyle not too far from the city of Savannah. One thing is for sure you will need an experienced local agent to help you navigate the eclectic market of Tybee Island. Let me help you find the perfect beach home on Tybee. Tybee Island is located on the northeastern tip of Georgia beside the Atlantic Ocean about 30 minutes or 18 miles from downtown Savannah. It is accessible along Highway 80, which passes by Wilmington Island and Whitemarsh Island on its way to the coast. Known as one of the top 10 city beaches in America, Tybee Island is practically a lifestyle all to itself with beautiful white sand beaches, glorious sun and surf and a slow-paced lifestyle that will appeal to the vacationer in all of us. Known as one of the most laid-back locations on the southeastern coastline, this charming island combines seaside nature with local delights — exquisite resorts and time-honored vintage buildings such as the lighthouse and local cottages. While this may be Savannah’s best-kept secret, Tybee Island is home to a year-round population of about 3000 residents, but many more during the beautiful summer months. Locals and visitors from all around the country visit Tybee Island. Parades and festivals, such as the Beach Bum Parade in May and the annual fireworks show each July, are very special. 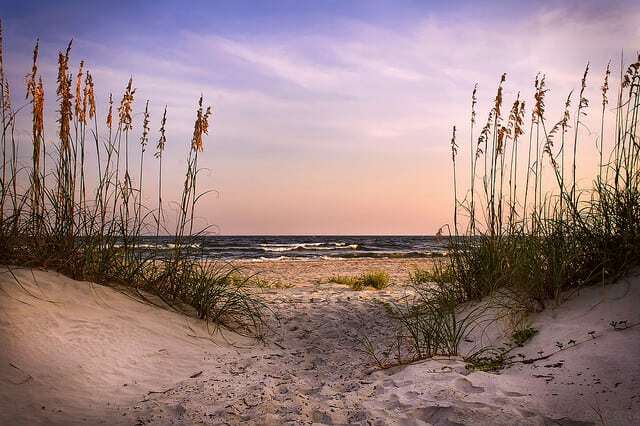 Tybee island is also known as ‘Savannah Beach’ and is a popular tourist destination year-round but especially during the spring and summer months. There are a variety of exciting recreational activities all along the seashore as well as fabulous shopping and fine dining. Families and visitors of all ages will enjoy over 3 miles of public beaches and salt marshes teeming with unique wildlife along Georgia’s northeastern coastline. Enjoy fishing off the pier, deep-sea charter fishing, festive nightlife activity and colorful characters, just as fun as the events and activities you will find. Tybee Island is home to dozens of fantastic bungalows, country cottages, historical homes and luxury waterfront estates. Prices start at about $300,000 for a simple single-family home downtown or in one of the residential neighborhoods. Exquisite waterfront estates can range as high as $1.2 million but the average is between $500,000 and $800,000 for single-family home of 2 to 5 bedrooms and between 1500 and 3000 ft.². Of course, this is just the average and there are a variety of homes, styles, sizes and prices from which to choose. Although Tybee Island is ideal for those who want to get away, people commuting to downtown Savannah can have quite a drive. Highway 80 is the only accessible road on and off the island. During rush-hour times, there may be significant delays due to heavy traffic. If you are interested in learning more about this fantastic hidden treasure on Savannah’s East Coast, call me today and let’s get started looking at homes or just gaining information about where you’d like to live in our little slice of heaven.